Moscow, May 10, Interfax - There are four things that are non-negotiable for Moldova, President Igor Dodon said. “I always tell our partners that there are three or four things which I will never agree to make a subject of negotiations: these are our statehood, the preservation of Moldova, and the non-unification with any other countries. Secondly, there is our neutrality; NATO is categorically unacceptable. The third matter of principle is our Orthodoxy,” Dodon said at a meeting with Russian State Duma Chairman Vyacheslav Volodin on Wednesday. Moldova does not need those European values “that are being imposed on the Moldovans one way or another,” he said. The fourth non-negotiable issue is the strategic partnership “with our Russian friends,” he said. “These are the four matters of principle, which are not subject to negotiations. 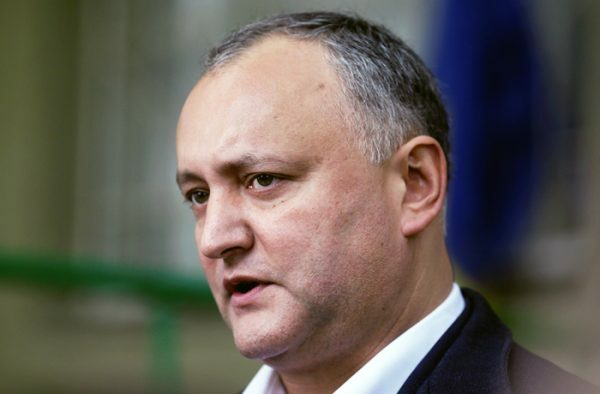 Importantly, a majority of Moldovan citizens support these four points,” Dodon said.